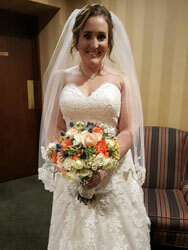 Gorgeous bride with colorful spring bouquet. 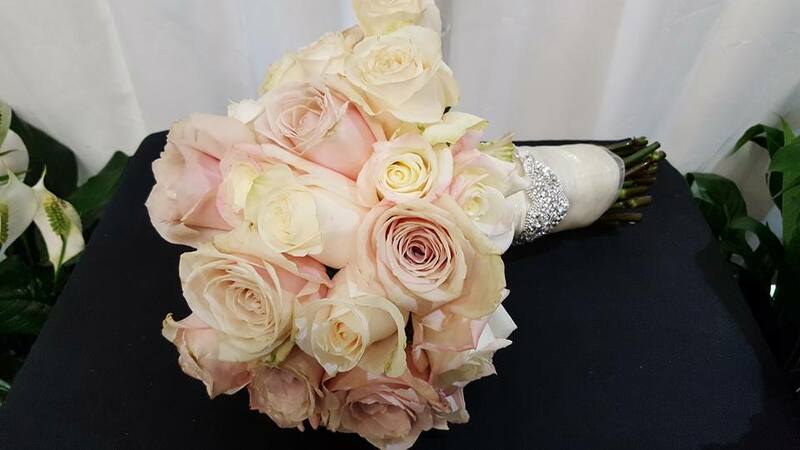 Elegant, simple bridal bouquet of blush and ivory roses with an ivory chiffon hand wrap accented with crystal wrap. 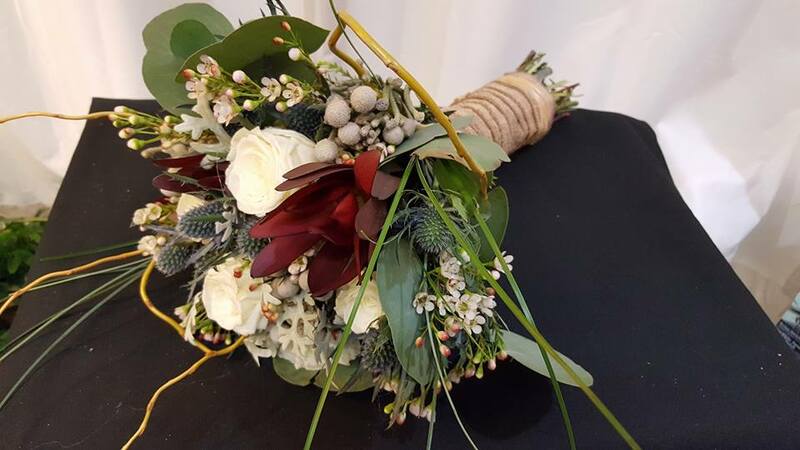 Unique rustic bridal bouquet of ivory roses, safari sunset, wax flower, thistle, brunia berries, williow branches, bear grass, and eucalyptus finished with a burlap hand wrap. 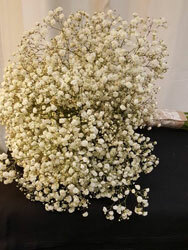 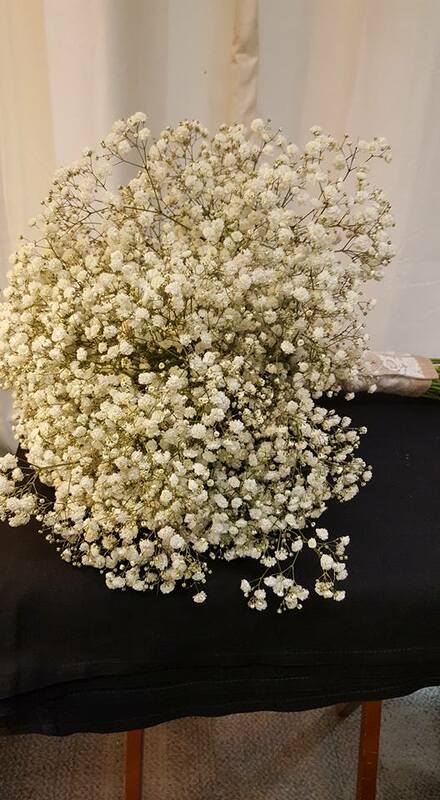 Simple bridal bouquet of baby's breath. 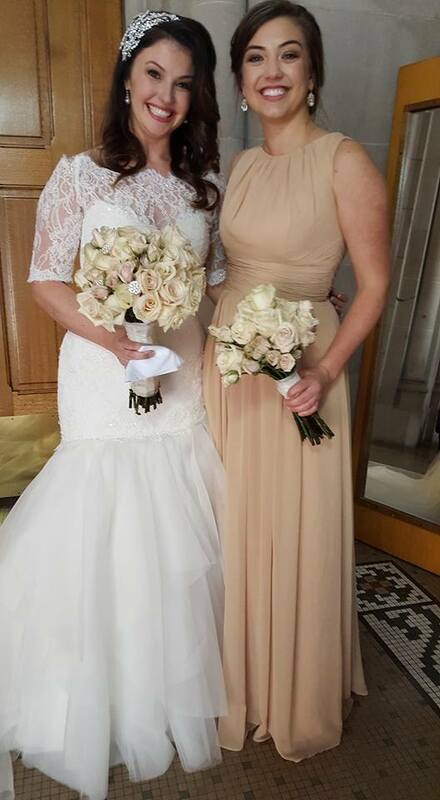 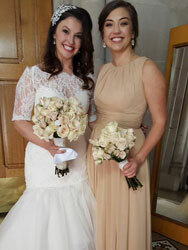 Beautiful blushing bride and bridesmaid with elegant bouquets of blush and ivory roses. 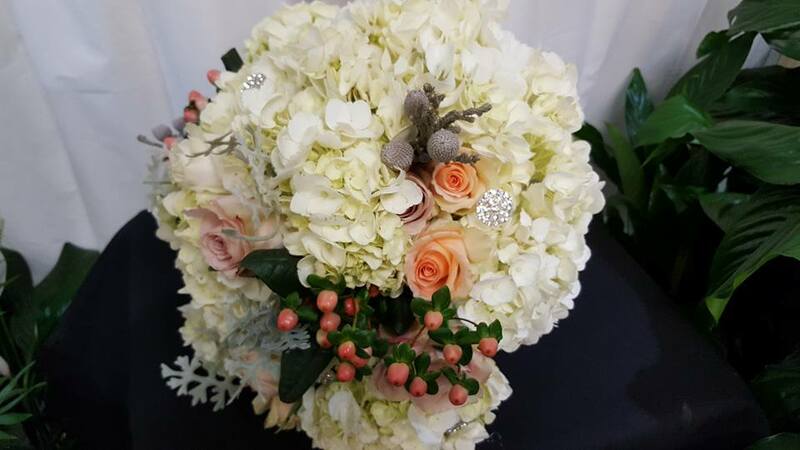 Beautiful Bridal bouquet of white hydrangea, blush and peach roses, hypernicum berries, dusty miller, and brunia berries with crystal accents. 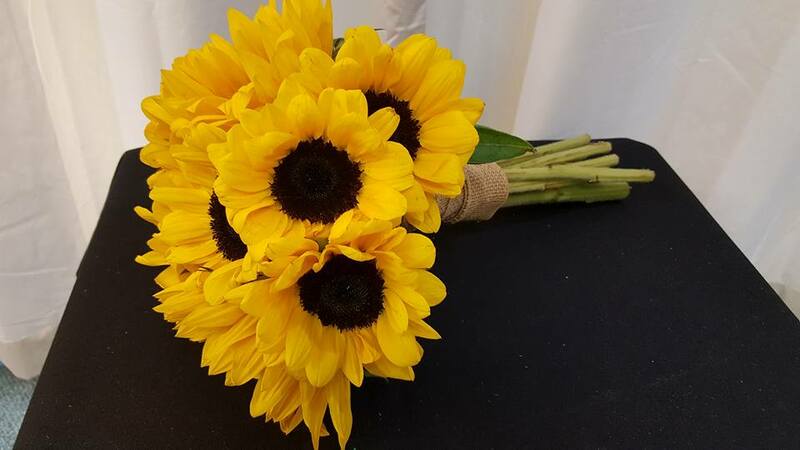 Simple bouquet of sunflowers with burlap hand wrap. 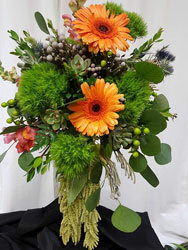 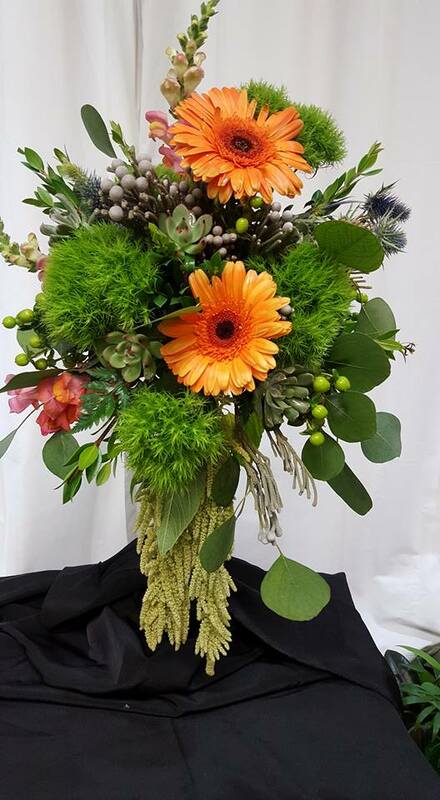 Cascading bridal bouquet with orange gerber daisies, green spiked dianthus, and succulents. 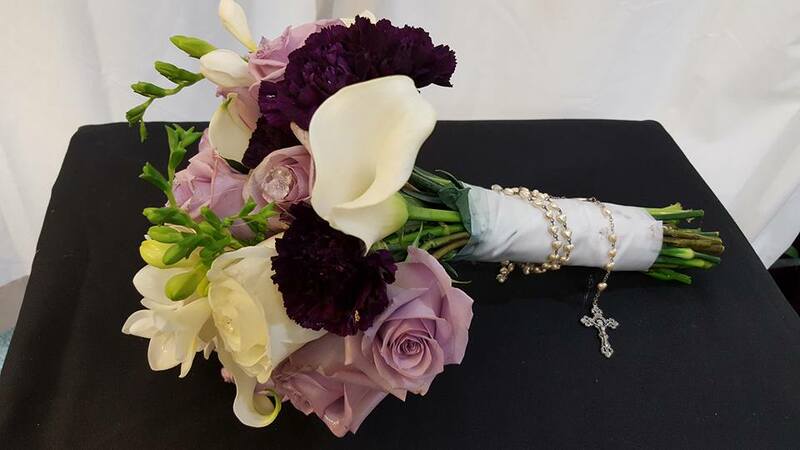 Bridal bouquet of lavender and ivory roses, white calla lilies and freesia, and plum carnations finished with an ivory chiffon hand wrap and family rosary. 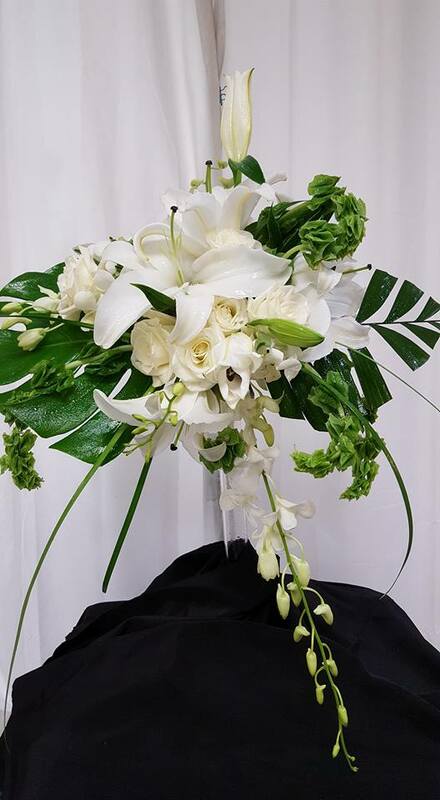 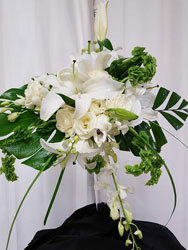 Unique green and white cascading bridal bouquet of white star gazer lilies, roses, and orchids; accented with bells of ireland, bear grass, and monstera leaves. 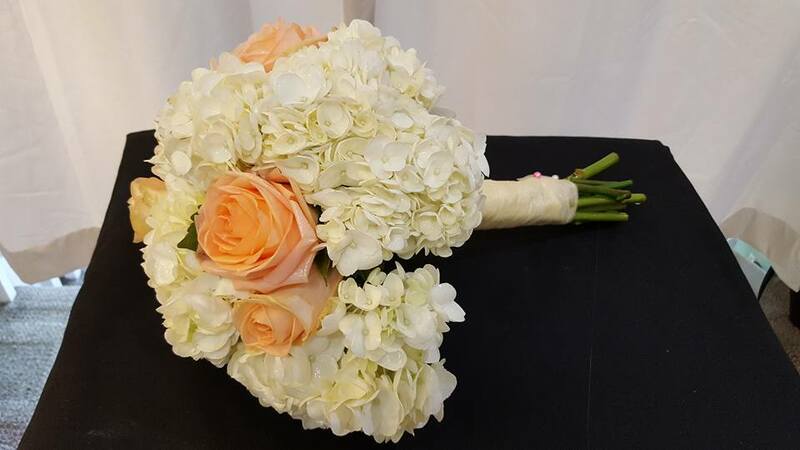 Simple and elegant bridal bouquet of white hydrangea and peach roses with an ivory chiffon hand wrap. 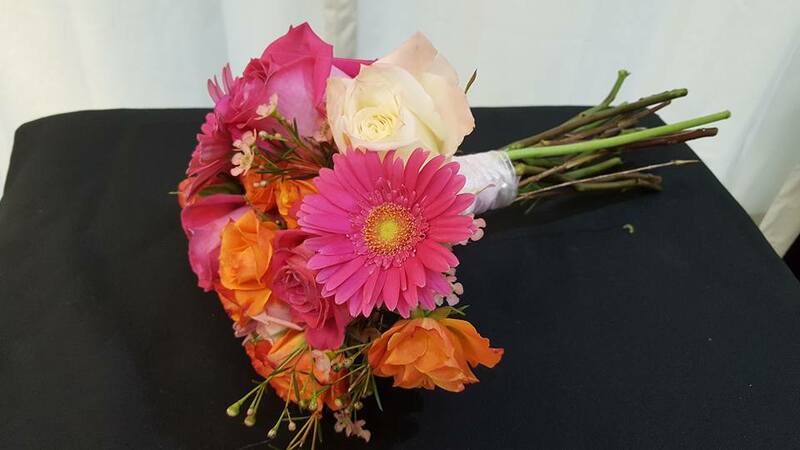 Colorful bridal bouquet of orange, hot pink, and white roses, hot pink gerber daisies, accents with wax flowers and finished with a white chiffon hand wrap. 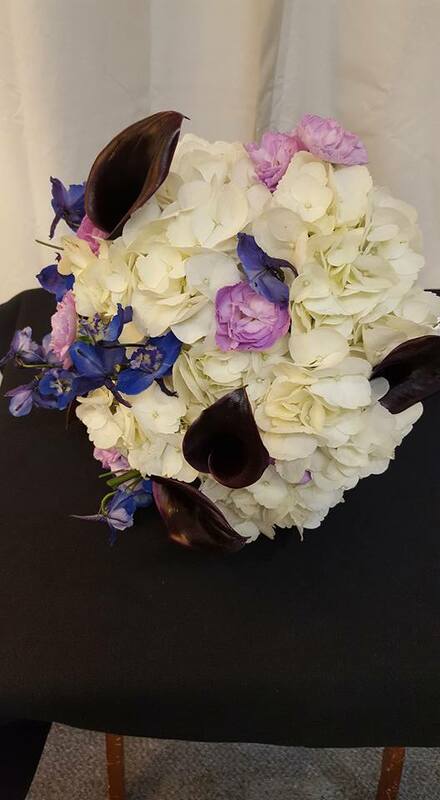 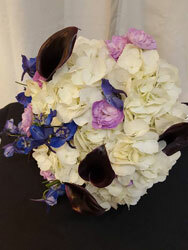 Unique bridal bouquet designed with white hydrangea, miniature plum calla lilies, blue delphinium, and purple stock. 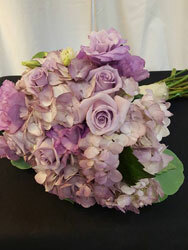 Beautiful monochromatic bridal bouquet made with lavender hydrangea and roses finished with ivory chiffon hand wrap. 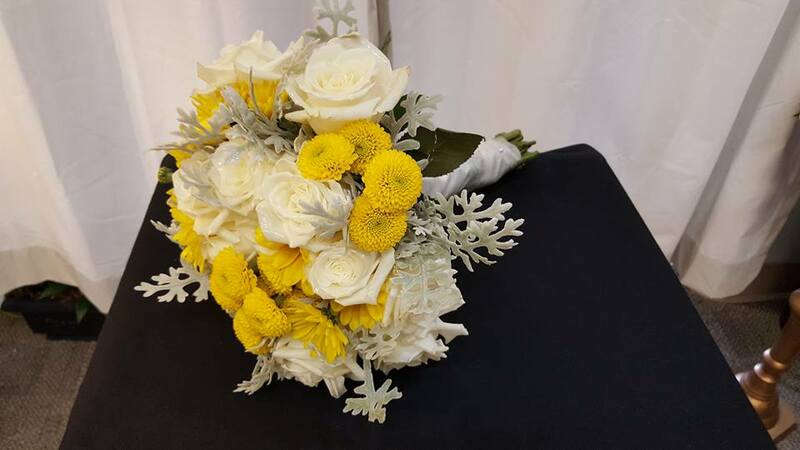 Bridal bouquet designed with white roses, yellow cushion mums and dusty miller accented with white chiffon hand wrap. 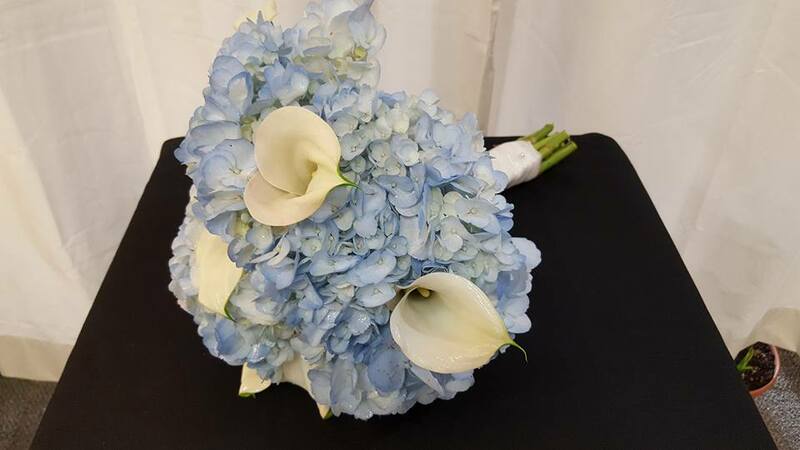 Beautiful bridal bouquet of blue hydrangea and miniature white call lilies finished with chiffon hand wrap. 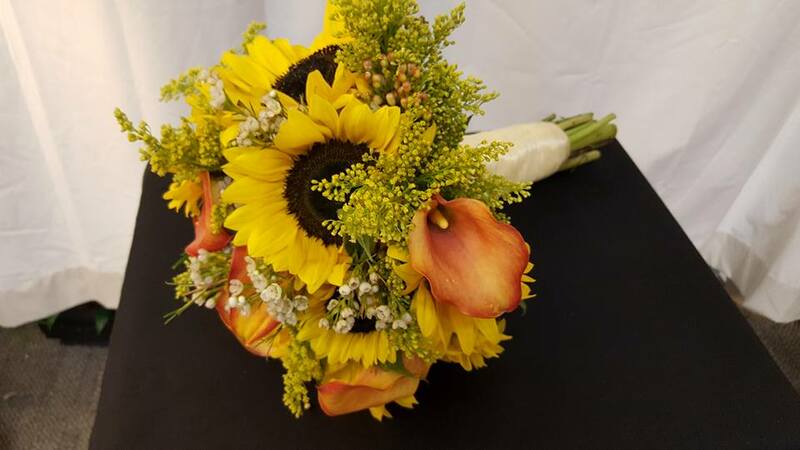 Fall themed bridal bouquet of sunflowers, orange calla lilies, yellow solidago, and white wax flower finished with an ivory hand wrap. 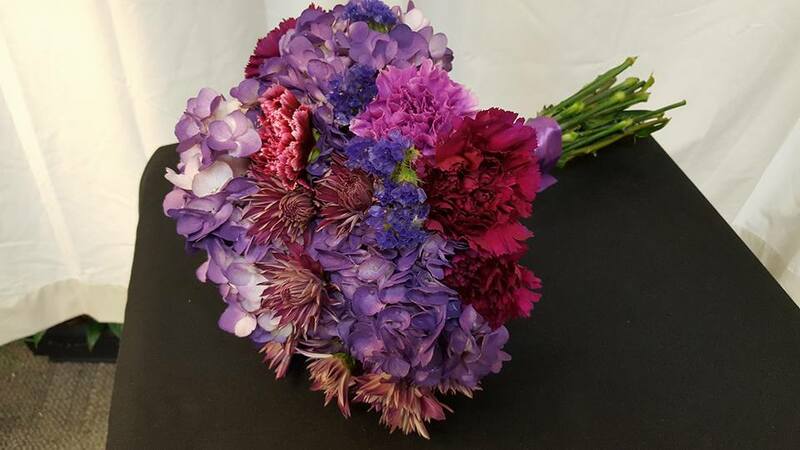 Mixed flower bridal bouquet of purple hydrangea, purple mums, statice, and deep pink and purple carnations with a purple silk hand wrap. 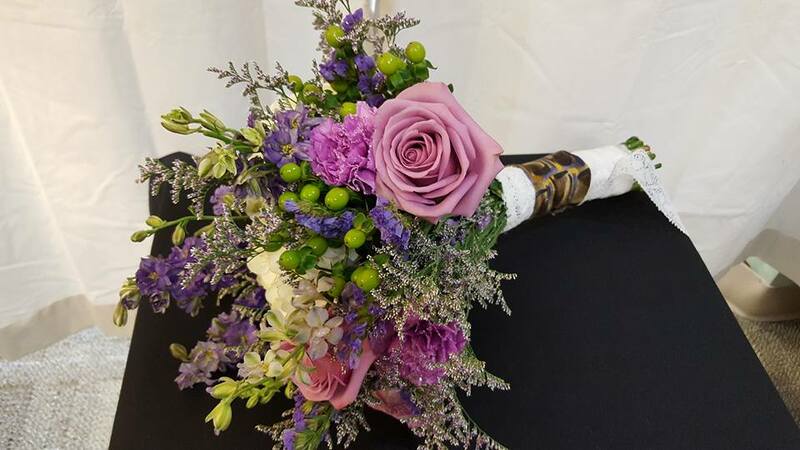 Beautiful spring themed bridal bouquet of pale and dusty rose peonies, pale pink roses, pink alstroemeria, purple tulips and eucalyptus finished with a grey silk hand wrap. 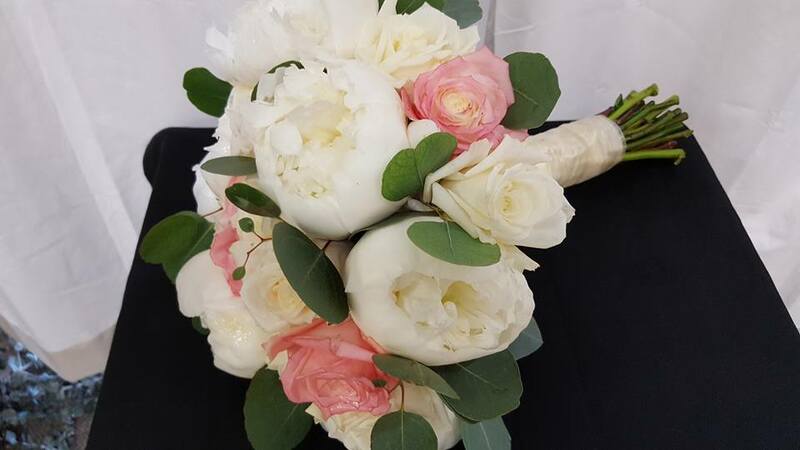 Gorgeous bridal bouquet of white peonies, pink and ivory roses, and eucalyptus with ivory chiffon hand wrap. 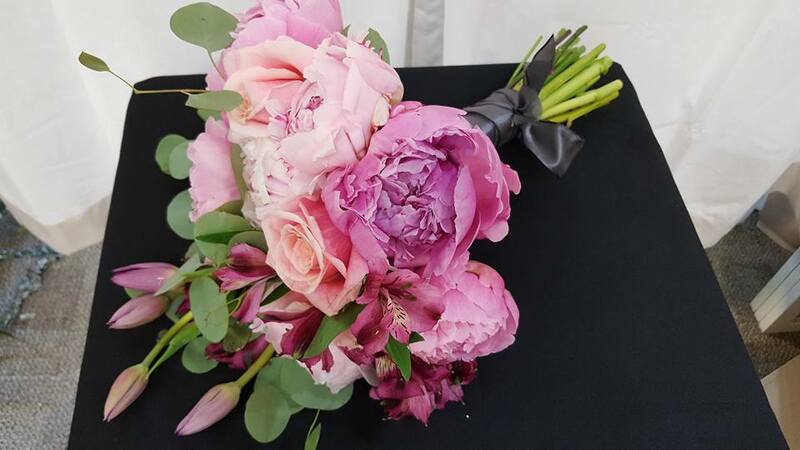 Bridal bouquet of peonies and roses in hues of pink finished with an ivory chiffon hand wrap. 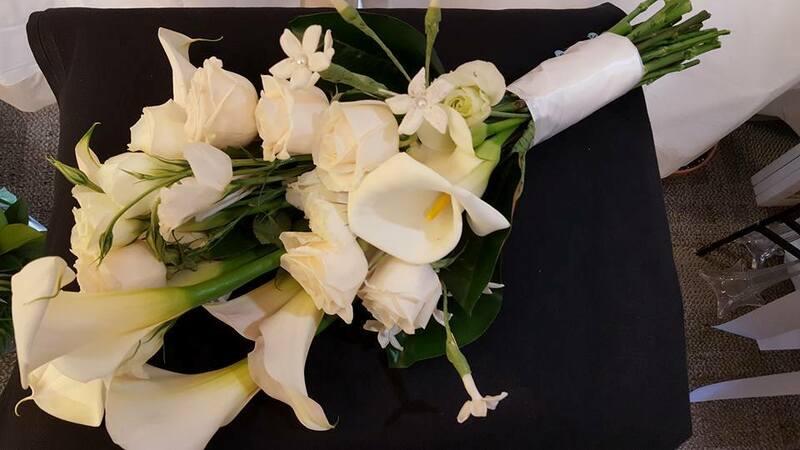 Elegant white bridal bouquet designed with calla lilies, roses, ranunculus, and stephanotis finished with a white chiffon hand wrap. 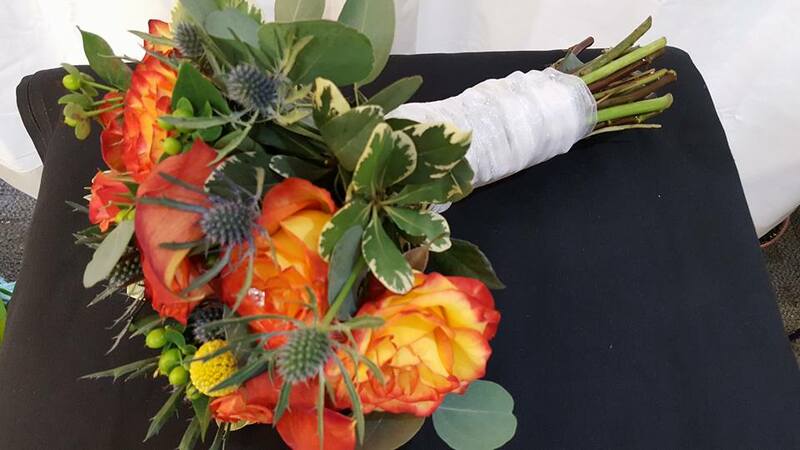 Beautiful colorful bridal bouquet of orange roses and calla lilies, hypernicum berries, thistle and greens with a white chiffon hand wrap. 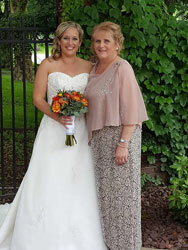 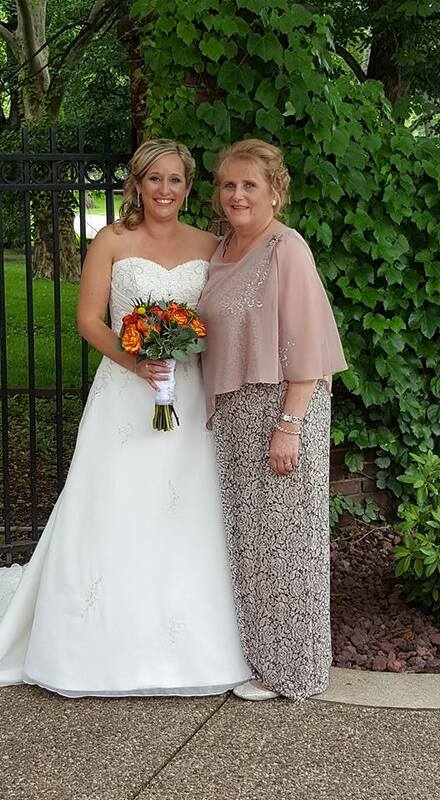 Beautiful blushing bride and mother with her gorgeous bouquet. 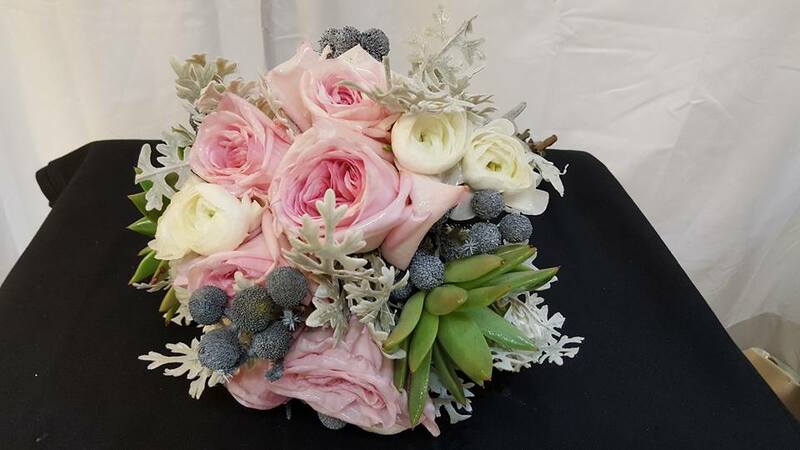 Unique bridal bouquet of pink gardener roses, white peonies, brunia berries, dusty miller and succulents. 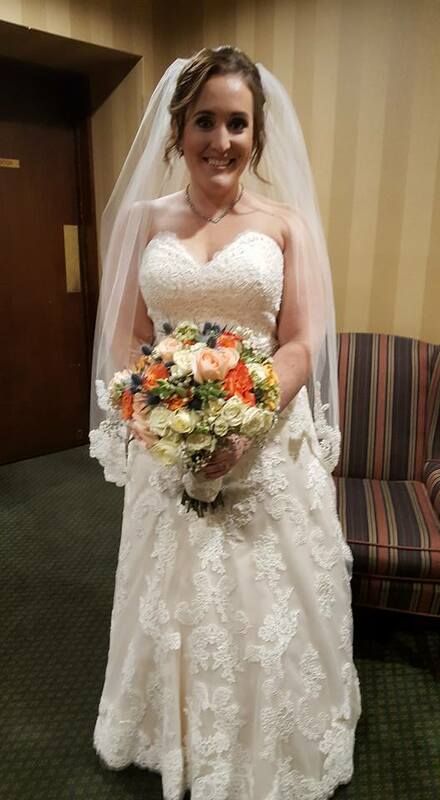 Gorgeous bridal bouquet of white and pink peonies, peach roses, pink hypernicum berries, white wax flower and succulents finished with an ivory chiffon hand wrap. 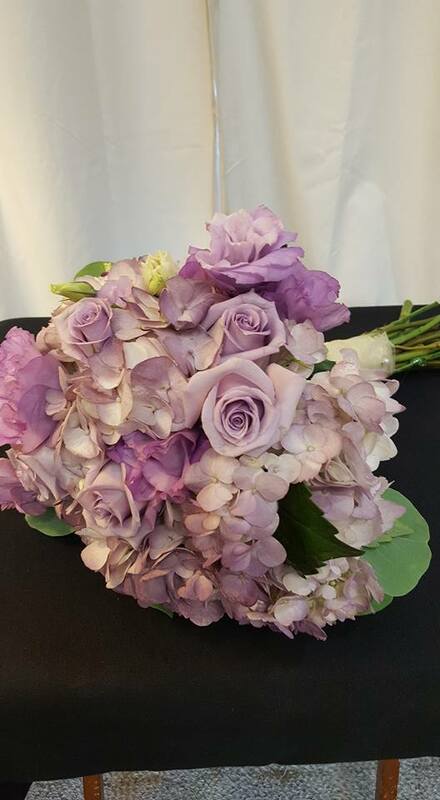 Spring bridal bouquet designed with purple larkspur, white freesia, lavender roses, hypernicum berries, purple solidago, and purple carnations finished with a lace hand wrap.